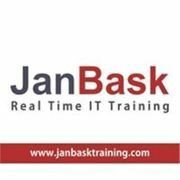 I must state that JanBask Training provides a great Salesforce Training and Certification program that deals with every one of the ideas of your certification tests and prospective employment opportunities as well. A stunning course to gain proficiency with the ideas of Salesforce in a simple way. I must say a good investment of your hard earned money. Much thanks to you, JanBask Training! This is the first occasion when I have attended a remote training as online self-paced classes and had doubts about how successful it would be. But I really had a great time learning it.